Propolis, or bee glue, is a natural wax-like resinous substance found in bee hives where it is used by honeybees as protective agent. Since antiquity, mankind has been using propolis in different fields, mainly traditional medicine. In addition, propolis has been widely used for its antibacterial, antifungal, antioxidant, and anti-inflammatory properties. The aim of the research is to add propolis into ingredients of chewing gum and to obtain propolis chewing gum and determine antimicrobial effect of this gum against Streptococcus mutans which generate tooth cavity. Chewing gum is the most suitable food product for using propolis wax because it is acting like gum base and so it is constitute a perfect chewing gum mix. For this purpose, propolis samples were collected from oak trees in Kırklareli, Turkey and an extraction method was used to extract propolis from raw propolis. This method include the following steps, 10 g raw propolis and 90 ml of 96 % ethanol were incubated at 60 °C for 24 h and this mixture was filtered after this process was performed, heat treatment (70 °C) was used for extraction. After the extraction, extract that obtained from raw propolis was added to chewing gum mix. Greater inhibitory effect was noted with 4 % propolis extract containing chewing gum compared to that including 10 % propolis containing gum samples, possibly due to different ratio of propolis extract in agreement with other researchs. Acknowledgements: This study was supported by 117O869 TÜBİTAK Project (3001). ISNAD PALABIYIK, Ibrahim , SOZERI ATIK, Didem , BOLUK, Esra , KOLAYLI, Sevgi . "Propolis Included Chewing Gum and Investigation of Its Antibacterial Activity against Streptococcus mutans". 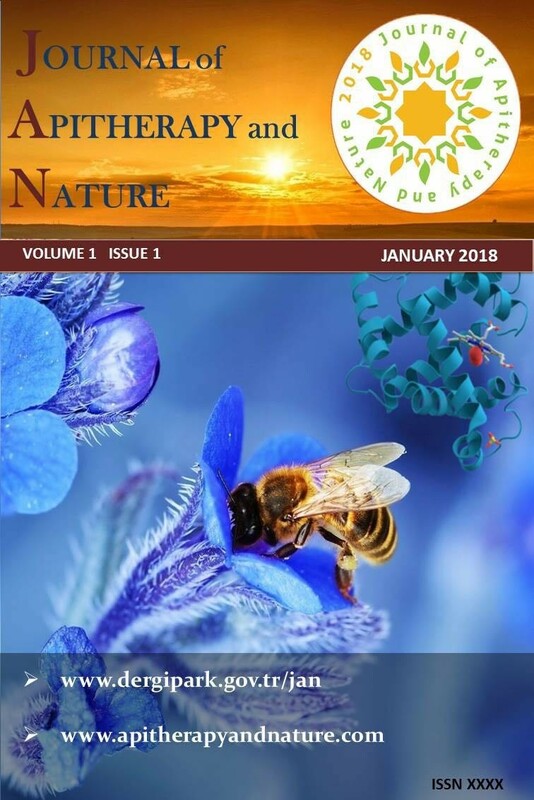 Journal of Apitherapy and Nature 1 / 3 (December 2018): 37-37.